Do You Know Your Rights for Filing a Complaint with OSHA? You always hear about how nobody likes a tattle tale, but what about complaining when people’s health is at risk? You can and SHOULD file a complaint if you are concerned about practices that may be in violation of OSHA safety standards. If you have concerns about the safety of your job, ask for an inspection. You can call 1-800-321-OSHA (6742). You can also file a “Notice of Alleged Safety or Health Hazards” by clicking here. 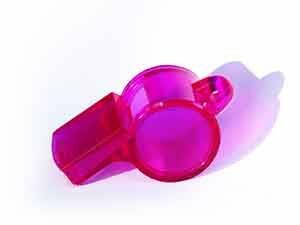 Am I Protected Against Repercussions for Whistleblowing? You ARE protected against repercussions from your employer. It is ILLEGAL for an employer to take action against you such as, fire, demote, or transfer you, if you exercise your rights to file a complaint with OSHA. As part of OSHA’s administration, in accordance with their protection statutes, employers are held responsible for lawful agreements that do not seek to discourage employee rights to whistleblowing. Why Are Safety Issues Underreported? Underreporting is a problem that results in injury and sometimes carries fatal consequences. For the health and safety of workers and the environment, you need to know what your rights are as a whistleblower. OSHA has encountered clauses in settlement agreements that serve to discourage workers’ from acting upon their rights to protected activity. In these cases, OSHA requires the removal or clarification of such language, so that workers rights are upheld. -The employee involved in the activity is protected under the whistleblower protection laws. -The employer was aware, or suspected, the employee to be engaged in the protected activity. -The employer took action against the employee. -The employee’s activity motivated or in some way contributed to the adverse action. OSHA complaints can be made in writing, in person, or over the phone. If using the form, be sure to complete all of the screens or fields marked as “required.” All other screens or fields are considered optional. Can a Complaint Be Filed Anonymously? A whistleblower complaint may not be filed with OSHA anonymously. If, in fact, OSHA determines the need for an investigation, your employer will be notified. Then your employer will be given the opportunity to respond to the complaint filed. If investigation ensues, there will be an opportunity to provide evidence. The use of names and contact information of witnesses can be provided at that time. Do not include witnesses’ names or contact information on the form when filing the initial complaint. What Happens After Filing a Complaint with OSHA? When you file a complaint, you will be contacted by OSHA and they will make a determination on whether or not to conduct an investigation. If you fail to respond to OSHA’s follow-up contact, then the complaint that you filed will actually be dismissed. Thus, it is important to provide a timely response. OSHA reviews settlement agreements made in the investigation process to make sure that agreements are reasonable and in the best interest of the public. Additionally, OSHA ensures the employee knowingly and voluntarily provided consent. Occasionally, OSHA encounters provisions made in settlement agreements that may discourage an employee from filing a complaint. 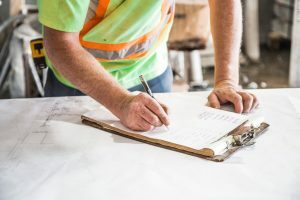 In these cases, OSHA sees that such clauses are altered to provide clarification or removed from the agreement altogether. Arguments must be lawful and in agreement with the whistleblower protection statutes. OSHA will not approve a provision that places restrictions on employees’ rights to provide information related to occupational injuries to the government. Provisions cannot be made that require employees to inform employers prior to filing a complaint. A complainant must not be required to affirm whether or not a complaint has provided information to the government. No provisions should made that require an employee to waive their rights to receive a monetary award from a government whistleblower program. Sometimes settlements will require a breaching party to pay liquidated damages. Since this can be unenforceable, OSHA will reserve their right not to approve a settlement with disproportionate liquidated damages with the potential loss for the respondent of the breach.